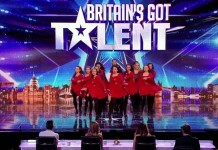 Britain’s Got Talent 2014: [PREVIEW] Innova Irish Dance audition! Innova Irish Dance company impress the Judges with their jigging to chart topping tracks. Watch their audition here, it's amazing.